19/10/2018: Adoption of the Commission guidance document on the verification of legality in timber trade. 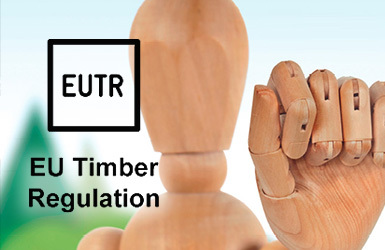 This guidance document will help the competent authorities of the EU Member States to follow a common approach and strengthen cooperation in case of doubts as to the legality of timber from CITES-listed tree species imported into the EU. 19/10/18 A voluntary partnership agreement (VPA) between the European Union and the Socialist Republic of Vietnam on forest law enforcement, governance and trade (FLEGT) was signed in Brussels. The aim of the agreement is to stop illegal logging and, through the FLEGT licensing scheme, to guarantee that timber imported into the EU from Vietnam is legally harvested. This is the second VPA that the EU has concluded with an Asian country after Indonesia and is particularly significant given the importance of Vietnam in the global timber market, being one of the main hubs for processing and re-export of timber. 08/10/2018: The first five country overviews on timber-exporting third countries have been released, to help operators and Competent Authorities identify and assess the risk of sourcing illegally harvested timber for a sound implementation of the EU Timber Regulation: Brazil, China, Myanmar, Russian Federation and Ukraine. Source: Environment Directorate General of the European Commission (DG Environment).